SAN FRANCISCO—Roughly 20 percent of Californians–nearly 7 million–have some English language limitations, making it difficult to access the courts without significant language assistance. To address this need, the Judicial Council established a joint working group to develop a statewide language access plan for limited-English-proficient court users. The plan will incorporate extensive feedback from varied stakeholders, including members of the public, bench officers, court executive officers and staff, court interpreters and interpreter organizations, attorneys, bar associations, and legal services organizations. A live audiocast of the hearings, as well as closed captioning (in English and Spanish), will be available on the Language Access webpage. In addition to commenting at the hearings, members of the public can also e-mail comments to LAP@jud.ca.gov. Comments received will be included in the hearings’ public records. 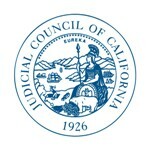 For more information about the Judicial Council’s Joint Working Group for California’s Language Access Plan, please visit our website at: www.courts.ca.gov/languageaccess.htm.